An exciting new Football (soccer) MMO appeared on Steam Greenlight recently as developers Isgkron hope to tempt players into the adrenaline-fueled world of online football management with an interesting set of features and a persistent online game world. 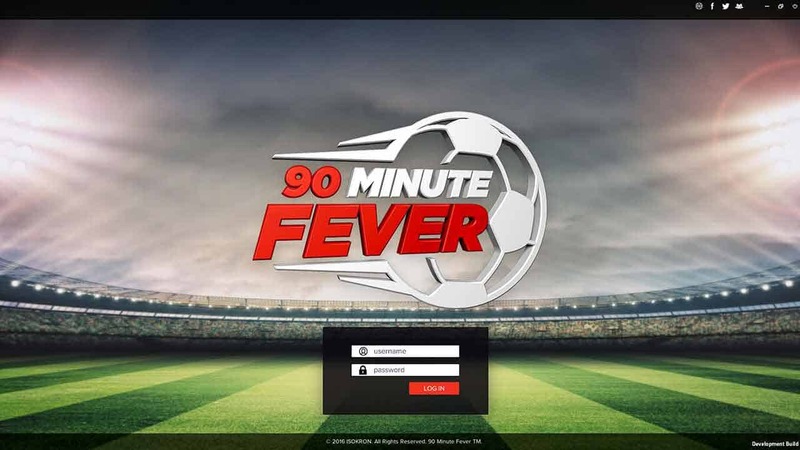 90 Minute Fever is described as an accessible yet deep online experience that will allow players to create and customize their own clubs, sign new players, manage staff and compete against other human players from around the world. Before jumping into the game players will have the chance to design and customize their own logo and strip using the games in-depth Club Creation Kit tool before choosing players to form the base of the team. From there players will join a huge persistent online world with all members of the community playing on a single server with a true user-driven economy and regular interactions with other managers.